From 1843 to 1847 George Watts lived in Italy, studying firsthand the monu-mental masterpieces of the Renaissance, most notably Michelangelo, Tintoretto and the Venetian colourists. He sought to achieve in his work a marriage of sculptural solidity and painterly warmth. Both a painter and sculptor, he regarded artistic ambidexterity as a duty. 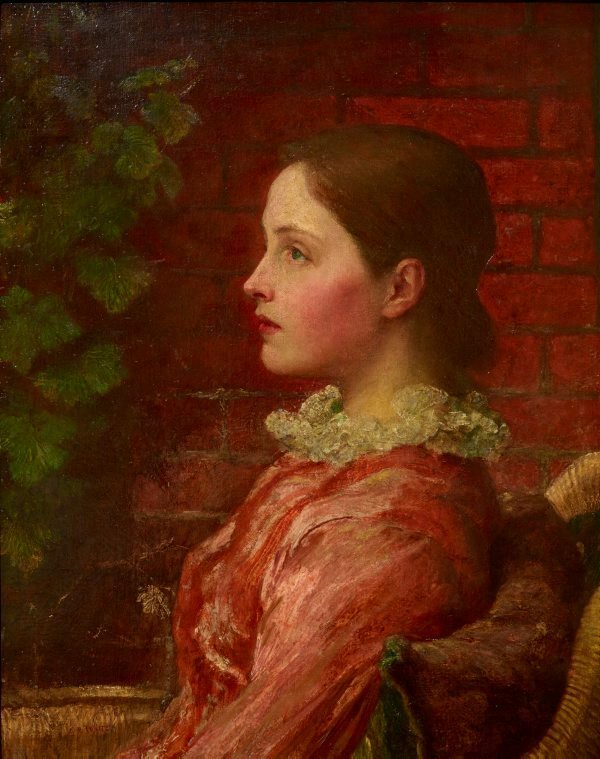 Many of the allegorical paintings Watts produced are bombastic in scale and abstruse in meaning. Nonetheless, his Victorian public welcomed these often clumsy conceptions as faultless expressions of genius, going so far as to accord him the title of the English Michelangelo. 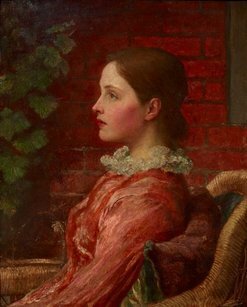 Watts portrayed most of the men and women of culture of his day, amassing a virtual anthology of English society. The ravishing 'Alice' shows him at his understated best. The sitter has been captured in a state of reverie undisturbed by interruptions from the outside world, and spared the histrionic excesses more characteristic of this painter's style. 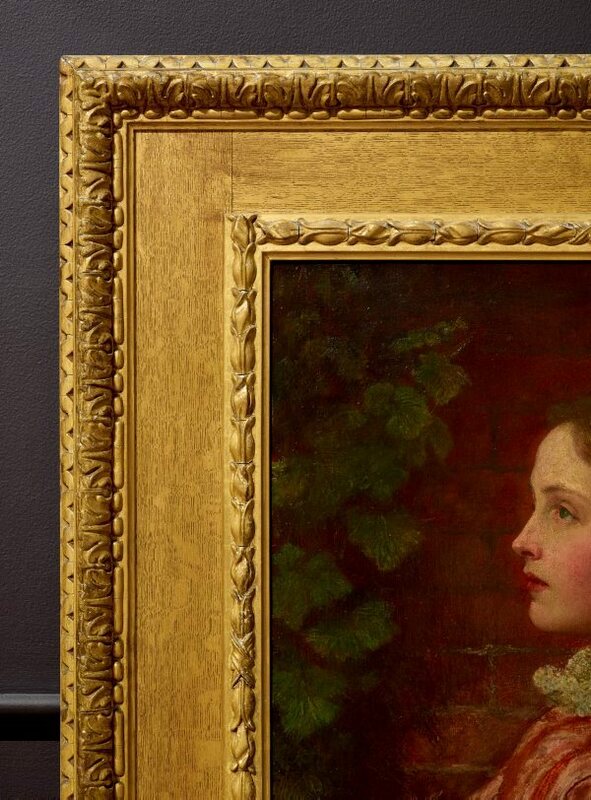 Signed l.l., red oil "G.F. Watts". Not dated. Bruce James, Art Gallery of New South Wales handbook , 'Western Collection: Paintings and Sculpture', pg. 17-77, Sydney, 1999, 42 (colour illus.). Art Gallery of New South Wales catalogue of British paintings , Sydney, 1987, 206 (illus.). Watts memorial exhibition at the Royal Hibernian Academy , 1906. 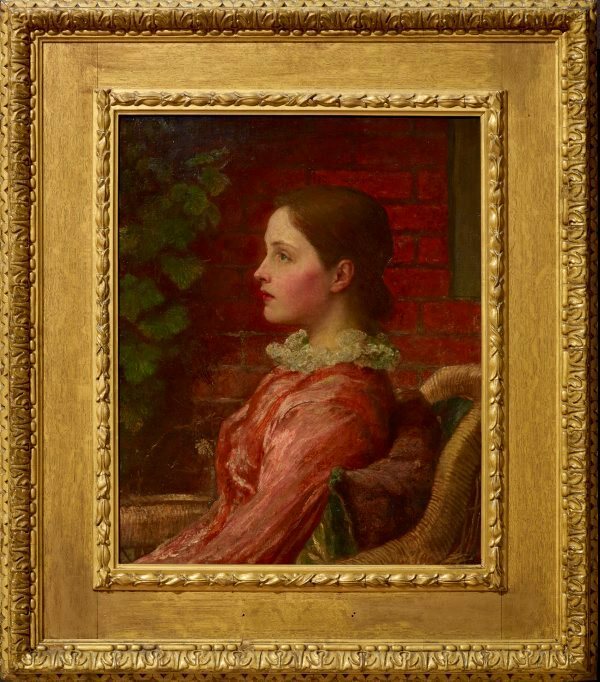 Catalogue of the special loan collection of works by the late G. F. Watts, R.A., O.M. , 1905.